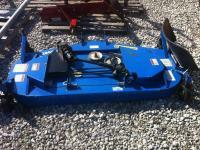 Used New Holland 266GMS Belly mower to fit New Holland Boomer 30 or Boomer 35. 66" cut drive over quick attach system. Has only been used for half a season and been serviced.